SUNDAY. Finishing a book in the bathtub. A new pair of silk pajamas. Rahul coming home from a trip, kissing me hello at 2 in the morning. MONDAY. Compliments on my new haircut. Sorting through my email inbox, getting everything read and filed away. TUESDAY. A long workout. A family dinner. Portillo's chocolate cake for 56 cents. WEDNESDAY. A beautiful sunrise. Reading 100 pages in a day. Rest. THURSDAY. A new cozy scarf. Scaling up my weights again. 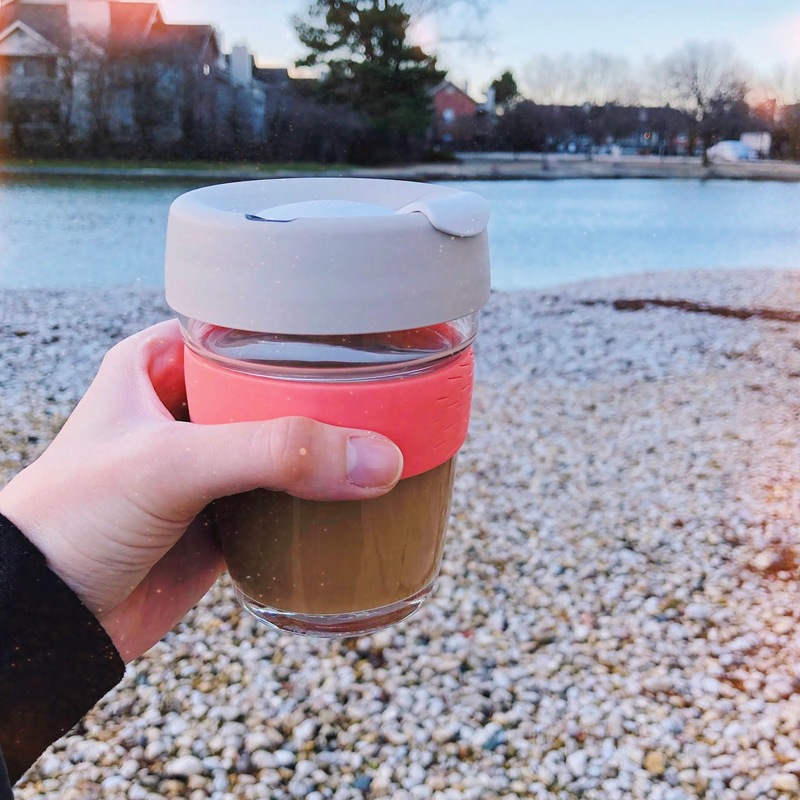 My new KeepCup arriving in the mail. FRIDAY. A good playlist during the drive to work. Having a pretty terrible day but still ending it laughing with coworkers. SATURDAY. Sleeping in. Waking up in the sunlight. Heading off to Arizona to see a friend from college get married (!! ).